Congratulations to all the businesses/clubs nominated for the Chamber Awards! 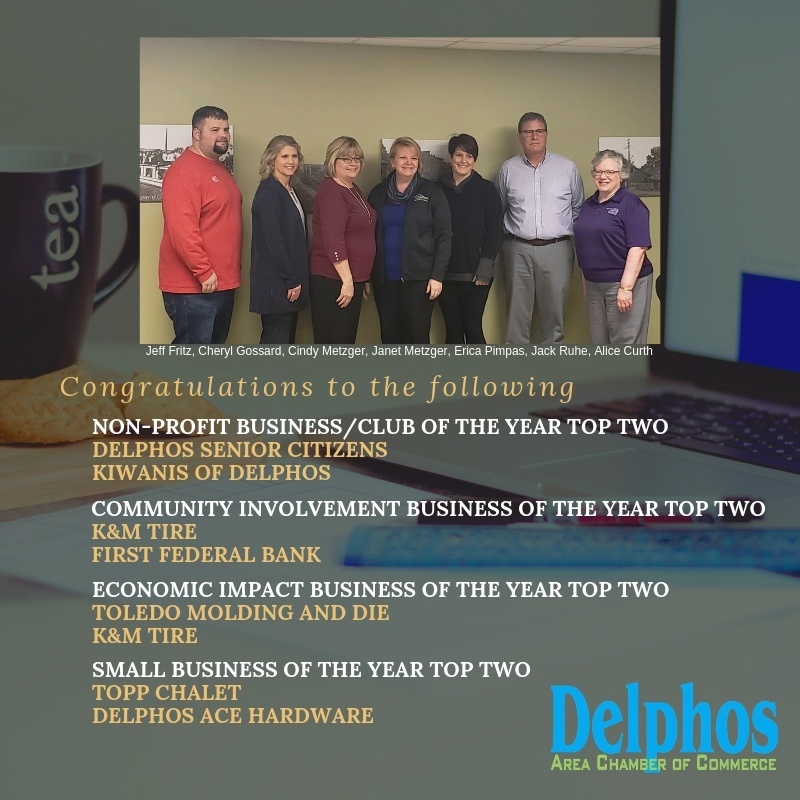 Friday, February 8, 2019, a Press Conference was held to release the Top Two finalist in each award category. The winners of each category will be announced Saturday, March 2nd at the Annual Dinner. If you have not reserved your ticket or table please contact the Delphos Chamber.